We've spent some time recently uncluttering our gear and work spaces. Going through everything to create good feng shui, rearranging how things are stored, and moving things out that are no longer being used. Feels lighter, feels good. 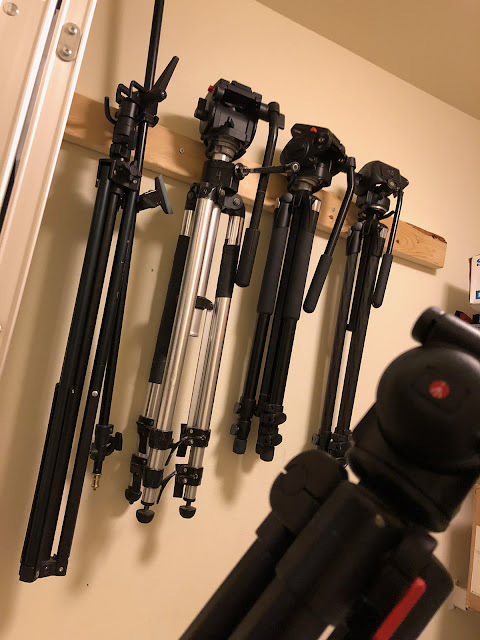 New tripod storage gets them off the ground and out of the way.